Each year, the RAI hosts the annual Esmond Harmsworth Lecture in American Arts and Letters, the centrepiece of the university’s American literary calendar. 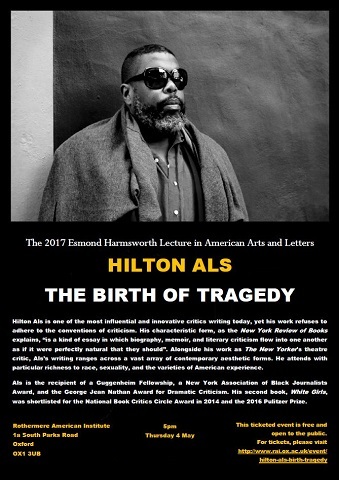 Made possible by the generosity of Esmond V. Harmsworth, the lecture has been given by some of America’s leading novelists, poets, playwrights, and literary critics. The next lecture will take place on 13 June 2019 and will be delivered by Deborah Treisman, the fiction editor of The New Yorker.